❤️💚❤️December Combo Challenge❤️💚❤️ December combo challenge with @dredee1983 and @kristen.bethanie starts next week! We will be giving away 3 prizes again this month! This month's moves focus on multi-step combos. Because we know most of us are traveling or have limited quality pole time during the holiday season, we designed this challenge to help keep you conditioned through the holidays with combos that can be done for all levels. You also have the option to participate in pole conditioning workouts that don't require a pole, posted on Mondays by @dredee1983. To play, follow the steps below: 1. Repost the flyer and tag two friends to play. 2. Follow the hosts and sponsors and tag in all your entries! Example videos will be posted 2-3 days before each combo week so check the host profile before each combo. It is best to watch the example videos we post before each combo so you can see how to do the moves in sequential order. Pole conditioning workouts are optional but not required to earn prizes. 3. Post a video of your combos using the moves listed in the order they are listed for each week. Don't forget to do each combo on both sides. The combos are designed to start easy and get more advanced so just do as many steps of each combo as your level allows - even if you can only do 2 parts of the combo that still counts! Use the hashtag #decembercombochallenge, and don't forget to tag the hosts and sponsors in all your entries! All entries must be received by January 3, 2018. Winners will be announced January 6, 2018. 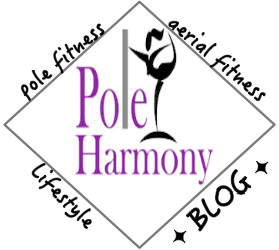 Winners must complete all combos as best they can for their level and will be chosen based on fluidity of transitions and good form. . 🏆PRIZES🏆 1st place will receive a pole set from @galepolewear 2nd place will receive a shirt from @darkside.fitness 3rd place will receive a jar of Dry Hands ✨✨✨✨✨ Happy poling! Pole along with AcroPark! 🔹Start December 1st by posting a video of each combo until December 12th. . 🔹You can invert the combos and add variations if you like. The important thing is to have fun and get moving! . 🔹We'll be posting a demo video every day. Tag us in your videos so we can share your skills!! Happy Holidays everyone!